Comparing Diets Now vs. Grandparents or Great Grandparents - JP loves LIFE! Its a concept I’ve heard discussed time and time again. Food Rules author Michael Pollan said it in an interview with Slash Food — “don’t eat anything your great grandmother wouldn’t recognize as food.” Proponents of only eating those foods your grandparents (or great-grandparents in some cases) would recognize. The concept behind this is the foods previous generations ate were homemade of fresh or whole ingredients rather than processed and packaged. I have heard it several times and wanted to really think through the concept. Its even the subject of this week’s food poll. So please vote before reading on. Meat — My granddad loved meat. He had been a butcher and he loved meat and even better? Meat with gravy. Or fried meat. For the family of four, mom remembers a pound of bacon and a dozen eggs and several pieces of toast each every morning. Starch — They loved starches — potatoes, biscuits, rolls and some times rice. Veg — Vegetables were either fried or cooked and cooked and cooked some more. Preferably with bacon. Sweets — Grandmom loved a coke now & then, usually in the small 8 oz bottle and she’d share it with us. There was always something in the candy dish. And I remember a decent number of cakes and pies. Fruit — A fig tree along side my grandparents house and a plum tree at ours led to preserves or jellies. As for other fruits, we would have apples, citrus, grapes, bananas, berries, melons and stone fruits. Extra — LOTS of things were fried. In summer, the family would make chow chow for the black eyed peas we’d shell. That’s my version of the list. I’m sure some family members can argue I’ve messed up. That’s what the comments section below is for. Now, I can look at things from my current world perspective. Meat — I think I eat less meat than we did in my childhood. Seems to have shifted from being the centerpiece of every meal to being a component of most meals. Starch — My family has a genetic predisposition to love starch, especially warm bread. Sad but true. We tend to overindulge here. Veg — I must say I love vegetables and love the diversity of vegetables we have now. My parents & grandparents made more of a habit of getting fresh veggies from the farmers market to put up, etc. I think some of this comes from feeding a big family versuses really small households (bushels of black eyed peas seem like a lot) but I could do better making it to Easy Way or one of the area farmers markets. Salads are far more common than I can recall and I eat them as the meal rather than with a meal and can enjoy them year round. And steaming rocks. Fruit — This is probably where I feel I’ve really hit the motherload. 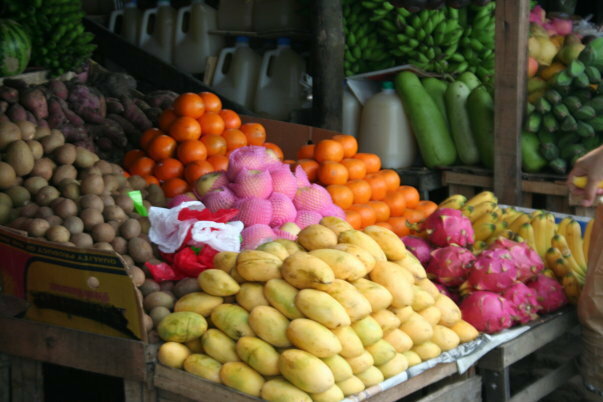 I LOVE the abundance of choice and freshness in fruits. LOVE eating local fruits when available (blackberries are a lifelong favorite) but I can’t imagine my life without mangoes! Sounds overly dramatic I know, but I love mangoes. And the fruit I think of most often is dragonfruit…. love that too. I love that I can get figs from my friends Bryan or Martha’s trees if the bird don’t get them first. My preference outside that immediate area goes to Florida, South Texas and California but I think globalization works to our benefit here too especially with partners in Latin America, etc. I know I eat more fruit now than ever before, and get better nutritional value from that than my grandmom did because of the diversity at the grocery store / produce market. Extra — I rarely fry foods, at least not deep fry the way they did. Ethnic foods are a huge part of my life. Mexican, Indian, Filipino, Italian, Turkish, Ethiopian… you name it and I like it! That wasn’t part of my grandparents world, other than an occasional pot of spaghetti. While my analysis doesn’t have any hard and fast numbers, I would say eating like my grandparents isn’t necessarily good or bad. I love grandmom’s fudge pie and ambrosia (hints to anyone who would invite me to dinner anytime soon) so rockin’ it old school is a definite part of my diet. Some of the healthiest options I have are foods my grandmom wouldn’t have eaten — besides dragonfruit and artichokes, etc, tabouli comes to mind immediately and I don’t think she used bulgar or pomegranate concentrate. I love the diversity and should pick among the healthier options more often. But Pollan’s concept has gotten me to think more about food trends in my family and that’s a good thing. The diversity I have available to me is due to the hard work of farmers — nearby and many miles away. I think my grands would like to join me as I take a few minutes to thank a farmer. Actually, I’d like to thank a bunch of them here in the Mid-South, across the Corn Belt, coast-to-coast and hemisphere to hemisphere. Thank you all for giving me healthy, nutritious plentiful options! « Lovin’ The Incredible Egg Yields a Cotton Prize! You know you really cannot replace lard in a pie crust recipe! I think it’s all about balance. Use the lard or Crisco, but not every week! My paternal grandmother was known for cooking her bacon in lard. The thing that strikes me most about eating habits is that my grandmothers both raised large families on farms, where as I have no kids and live in suburbia. They were focused on convenience and stretching their budgets, while I tend to look more at nutrition information and transportability (office, travel, etc). I remember lots of chicken, fried, casseroles, baked. Figs on bogth sides of the house, wild cherrie in fron, walnuts, pecans in back. Desserts weekly vs daily I would say. Cokes mostly on Saturdays growing up I do more salads, not fried meats, less meats, more fish, not as much milk even now. On the other hand I remember Mom and Dad going far to avoid alcohol and strong things in our lives. We were grown before Dad would keep a bottle or beer around. Then he drank infrequently and with caution. Even at the’joint’ after bowling with his buddies, they might have abeer but Dad had a coke because he did not want us coming in and a beer in front of him. Firm, consistent efforts. Recently posted on a similar topic on my grandma. Similar to yours – always candy and cookies around. Meat and ‘real dairy’ was normal. I’d read not too long ago soy was 100 years ago considered an industrial crop – not to eat. I doubt tofu or other soy based meals including TVP ever made much of an impact and certainly not soy milk. Lard & Crisco was used much more – don’t remember vegetable oil being used much. Good points Jan. I just wonder if there is a balance of pluses and minuses. Very few people have nutritional deficiency diseases like ricketts but more have diabetes. Both are about diets. Just trying to think through it all. Diabetes in my Mom’s family starts young. With 8 of 10 of my Grandma Sam’s and her siblings were insulin dependent very young. Type 1. My cousin Ronnie who passed away last year at 55-has 5 kids- all diabetic. True fact- there is a lot more type 2 diabetes and it is a lot about diet. But not all diabetes is created by diet only. All diabetes can be managed better with healthy choices! Now, on my Dad’s side? different kinda thing Type 2, there is also family history but with age and weight. Dad could have worked at it and NOT be on insulin. Not going to judge him just love him while he shoots up and then eats his pie… oh and yell at him about it! Whatever Dad. My over post, yet again…. This day in 1944 my Great Grandma Adam’s Journal said she canned 18 qt’s of pickles and dressed 4 fryers… go Grandma! Both sides of my Grandparents were very old school-in their eating habits! 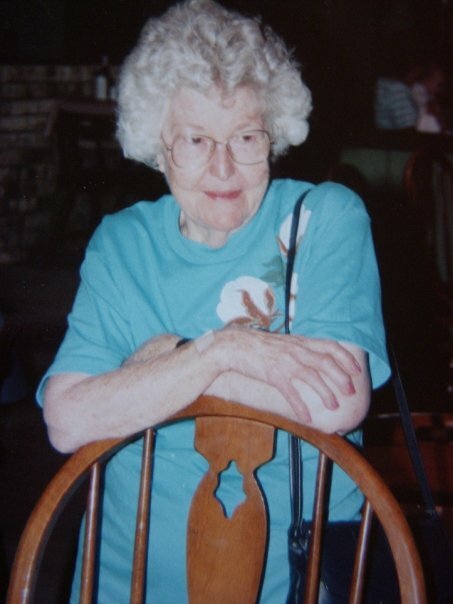 My Grandma Dorothy ate how and what she wanted, which would be seen as awful in today’s food world. She was as healthy as…. well, could be! Until the end at age 90. Both Grandma’s cooked veggies to death. Seems like we had celery sticks but I don’t remember other fresh veggies on the table as a rule or OUT of garden season that is. She would let me get the salt cellars (misspelled?) out of her china and use them to dip my celery in. I do like salt hehe. During garden seasons Every day on the table, tomatoes, cucumbers & onions etc…. The cooked veggies-if they didn’t have ham or bacon in them (or drippings), they had butter. Both were big on fruit in season but even then? even strawberries had a lot of sugar added. Both my Grandmas canned a lot. And, that is what they ate. They both had their own fruit trees, strawberry pathes, and berry spots! I don’t know if Grandma D ever had a steak that wasn’t fried-it was how it was done. I don’t know if I’ve ever fried a steak per say-cube steak, I guess would be it. And, my Grandpa loved the fat. My Grandpa Sam was raised VERY poor and he was raised on a lot of beans-like dried beans, beans, beans and more beans. Grandma had them most days with whatever else they had.. They all did their butchered themselves-and would rent space at the ‘locker’. Grandma S butchered so many chickens (nasty business, I can smell it still today) and would take them into the locker and go in now and again and get what she needed. Eggs were part of most breakfast-because they were there. fried in Bacon grease. I spray the pan with Pam…. and, I’d eat eggs more if I wasn’t so lazy-true story. And, how easy are they? I guess I’m that person thinking of the mess I have to clean up before I ever start cooking! ha. We do eat them quite a bit though usually for supper. They had shelves lined with canned veggies, fruits, pickles & yummy, beet pickles. I also remember crocks of sauerkraut. Mom made it too later-oh the smell! But–Hey, I think my Momma made me some beet pickles This year-I wonder why I don’t have those yet…. hummm…..My Mom did all this canning business for years too. I never got into it like her but I did help her. She even did the chicken butchering thing… ugh. The chicken was fried a good part of the time. I rarely fry anything at all but on occasion. I’m not against it… again with the mess! My people are all active and healthy occasional fried food isn’t going to hurt them. My Grandma’s canned peaches would probably do my diabetes in! But they were good! I freeze fruit myself, but it’s a totally different thing. I add the sugar/splenda later. I freeze corn and until last year when I physically couldn’t can a few green beans. I do like to season them up when I cook them but I’m much more careful about it. Learn more do better kind of thing. Lard was the only way to make pie crust. My Dad still wants Lard pie crust. But, he doesn’t get them that way very often. And, he has diabetes for goodness sake. He needs pie like a hole in his head… but if he sees pie he eats pie. *sigh. I don’t have lard and never think to buy it. Use to have it when we butchered hogs but there was a little old lady who was waiting for the lard each time! Bertie Eyer, famous for her pies. Fat lard crust and over uber sweet fillings… people loved em! There was Bread and Butter was on the table at all times. I don’t remember when I’ve ever seen bread and butter on the table at home! And, they were white bread people. I haven’t purchased white bread in ages. The bread I make is even whole or multi grain. There would be gravy at least one meal most days. One Grandma was a Bread making machine (rolls, cinnamon rolls). The other a dessert maker and, there was always sweet there. I like to bake… but, it’s when I want to, not as a daily ritual. They would butcher their own meat-This was mostly before me, but they used all the parts! Even made nasty head cheese. I don’t know if it’s good for you or not but I’m not going to eat that! But, I don’t eat any weird parts of anything. There would have been times I’d of gone hungry I’m sure, or learned to eat it! One of my best friends Grandma Limbergh ate bacon gravy, over white bread EVERY morning of her adult life she lived to be 93. I’ve never made bacon gravy and probably won’t! Grandma S had a potato bin in the cellar and had apples down there too. Apples stored well and we’d have fresh apples for a long time. Salads were not a part of their lives until the end. We have salad for a meal now and again here and little salads most days. I don’t think my Grandma’s ever ate a spinach salad, yum! I think wilted lettuce when lettuce was in season was the only salad they ever fixed until they got older! You know bacon, bacon drippins, vinegar and sugar :-} I made it when my lettuce popped up this spring. Both of my Grandparents milked cows in my life time. I remember clearly going out to help. I love cows but I’d no more drink fresh milk now… just how I am! My neighbors (now) had a milk cow up until 10 years ago and their 3 girls ate cereal with cream every morning. I wouldn’t do that either…. 2% or skim milk around here. These neighbors also still butcher chickens. If I had to butcher a chicken? we’d not eat chicken much! I complain if I forget to get a bag of chicken breast out of the freezer and wait for them to defrost!! We as a family (husband’s side) did get together 2 times a year and butcher beef until a few years back. Now, on occasions, I like to cook ‘old school’ but on a day-to-day-basis–Much lighter. Much more fresh fruit and veggies. Also, easier for us than ever before-because they are available year around! I don’t have to go to my basement and only eat canned produce. I also have my little orchard and berries galore but it’s a different world 2010′. I’m grateful and appreciative from learning from them!! And, grateful and appreciative that we’ve come so far in having fresh produce available to us! I could use some of Grandma’s canned rose apples right now. Thanks for making me think about them Janice… Now, I’ve got to find the recipe. But that is after I call my Mom and see where my beet pickles are !!! Oh, and yes both my Grandma’s were plump… perfectly Grandma plump. Aunt Bea plump. Didn’t stop them from doing a thing they wanted or needed to get done!